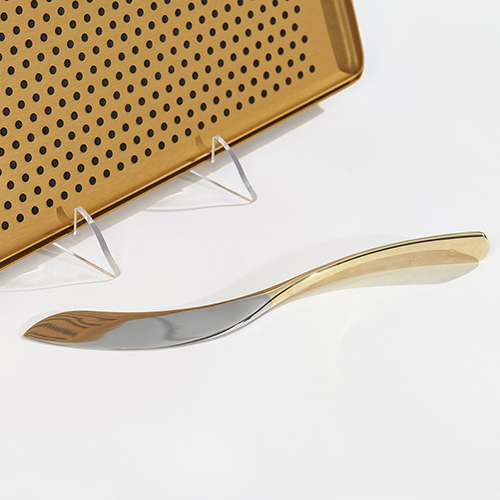 GONDOL is a kitchen utensil that is beautiful to hold and behold. 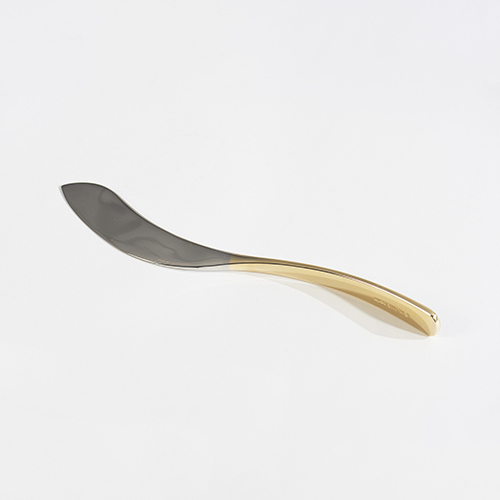 It could be used for cutting as well as serving, hence a more versatile tool than the original cake server. It comes in an elegant giftbox. 11.5” Stainless Steel with gold colored handle. Dishwasher safe or had wash with soft cloth use no abrasives.